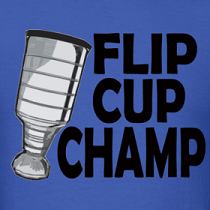 A few weeks ago we wrote about the great family tree that Blake Geoffrion has. His father played in the NHL, his grandfather was Bernie "Boom Boom" Geoffrion, and his great grandfather was Howie Morenz. It is quite the lineage for the NHL's only fourth generation player in league history. And judging by Blake's hat trick earlier this week, he is following comfortably in his family's footsteps. However, with all the suspension talk this week regarding Matt Cooke and last week's vicious Manitoba Junior Hockey League hit resulting in a 40 game suspension - Blake is also connected to the word suspension. 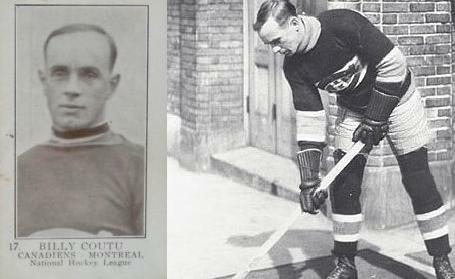 Enter Billy Coutu - Blake's great great grand uncle - the player with the NHL's longest suspension. On April 13, 1927 while playing for the Boston Bruins in the Stanley Cup Finals, Coutu, assaulted referee Jerry Laflamme, then tackled referee Billy Bell, eventually starting a bench-clearing brawl. This was apparently under the orders of his coach, Art Ross, following the end of the game and Boston's eventual defeat. Coutu's actions got him suspended from the NHL for life - usually a suspension levied in beer hockey leagues for serious misconducts. The NHL would lift his lifetime suspension two years later to allow Coutu to play in the minor leagues - but he would never play an NHL game again. Surprisingly, this was not the first, or the last time, that Coutu would abuse an official. On January 19, 1926, Coutu was fined $100 and suspended one game for tripping the same referee mentioned above, Jerry Laflamme. While managing in the CAHL (Canadian-American Hockey League) on March 24, 1935, he would be ejected from a game for abusing referee, Jack Cameron. Abusing officials was not all he did, check out his career transactions list, including suspensions and fines received. Let's hope Blake didn't get his genes. do you guys work for Ancestry.com? Blake Geoffrion should appear on that show Who Do You Think You Are? what a track record Coutu is. I guess Matt Cooke is a modern day Coutu. it's funny, NHL suspends Coutu for life - I wonder how many more players were suspended for abusing officials after that (I can only think of Maurice Richard). I would have loved to seen him trip that ref, would be hilarious! It's a shame they would lift his suspension. If he did that he should have never played pro hockey again. Even today the NHL is too lenient, I would love to see longer suspensions - forget those 2 gamers. Minimum 5 game suspensions and season-long suspensions would be great to see! My Grandfather Bill played hockey the way of the times. Billie was my grandfather but I did not know him very well so I guess it doesn't count Genetically speaking and any ways that was back in then days when it was OK to drink and drive? My Grandfather Bill was far from the modern day version of "dirty uncle" and played hockey the way of the times.